Whether your interest in Aromatherapy is personal or professional, Aromahead Institute's Aromatherapy Certification Program (ACP) is the place to start. 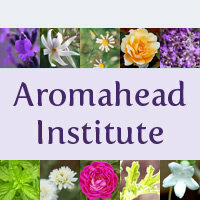 Aromahead Institute's online and in-person 200-hour Aromatherapy Certification Program is approved by the Alliance of International Aromatherapists( AIA) and the National Association for Holistic Aromatherapy (NAHA). The program provides the student with certification through the Aromahead Institute, NAHA and AIA. Aromahead Institute also offers a 400-hour Scholar's Program that is approved by the Alliance of International Aromatherapists. Aromatherapy accessories, essential oil carrying cases, portfolios, carousels and aromapendants, wooden display racks and more!